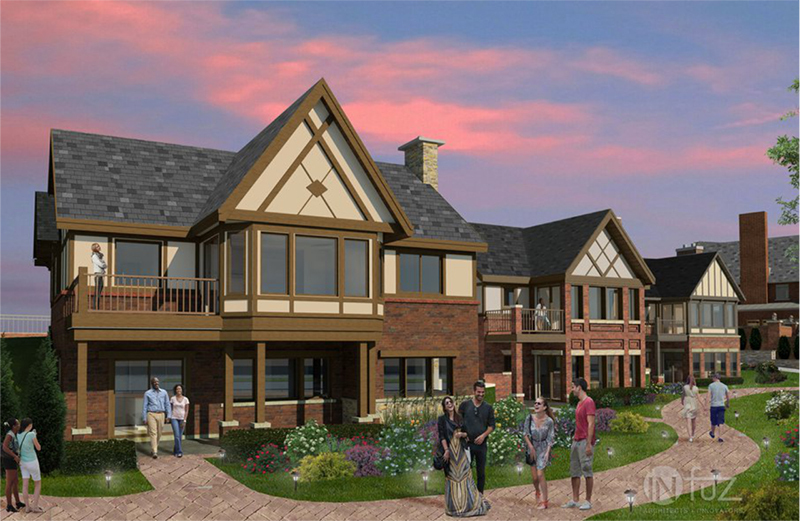 After two years of restoration and renovation work costing $40 million, the St. Clair Inn in St. Clair will reopen in June with a blend of its original English Tudor architecture and modern amenities. According to Jeff Katofsky, who acquired the inn in 2015 after it had been closed for several years, the historic 1926 portion of the inn has been restored to its original English Tudor grandeur. Renovations to other portions of the property offer modern, luxury-hotel amenities. Once opened, the inn on the shores of the St. Clair River will carry the Marriott Tribute Portfolio brand and will offer guests 106 rooms, three stand-alone cottages, banquet and meeting rooms, an outdoor pool, a beach, transient boat wells, an outdoor amphitheater designed to host weddings, fire pits, bocce ball courts, and multiple gardens. Visitors will be able to choose from seven food and beverage offerings, both indoor and outdoor. They will range from a formal, white-table-cloth restaurant to pub and cafe settings. Lounges include a wood-paneled bar, a speakeasy, and multiple outdoor and rooftop venues. On-site retail will include a Starbucks, gift shops, and commercial services catering to wedding and bridal events. The refurbished St. Clair Inn will bring 150 full-time hospitality jobs to the community along with an additional 100 seasonal workers.